Without permission to use your microphone for Skype, people will not be able to hear you during calls or video messages. In order to do voice or video call on Skype, you need to give it access to microphone. The method to enable microphone is almost same for Skype for Windows, Skype for Android ,Skype for iPhone and iPad and Skype for Mac, Linux and Ubuntu. 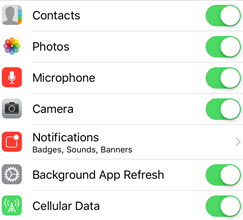 To make calls or perform tasks via Skype on your iPhone or iPad device for the first time Skype will seek your permission to access the microphone. Skype can also ask for permission to access your camera,photos, contacts, or share your location. If you do not allow any of these rights, you will not be able to accomplish the action set out to do. For example, if you are making or receiving calls you will see a notification allow the microphone. From your device Home screen, click on the Settings. Scroll down and tap Skype. You get a list of components that have access to Skype. Allow the components by touching the slider until it shows green. If your friends are having a problem hearing you on Skype, we will help you fix it in no time. If you talk into a microphone, the sound is carried over the internet and played through the speakers of your friend. So if you are having audio problems on a VoIP call is usually due to a problem with the microphone or speakers. First, open your Skype home page. Select “Skype Test Call” in your contacts and tap the call button. Follow the simple instructions and record a message, please stay on the line so you can hear it played. If you can hear you message your microphone is working efficiently, and the fault will be from your friends’ speakers. If you make an external microphone, make sure it is linked to the correct jack on your system. It implies putting the mini-jack in the pink gate. Sometimes, the port is on the back of your computer is more reliable than the one at the front. Check your microphone is not muted. If you are making use of iPhone or iPad, it may have a mute button either on the side. But when making use of the computer, it will have a cable that connects to it. Ensure that you are using the correct microphone on your Skype. In the main menu, choose Tools> Options> Audio settings and check to see that the correct microphone is selected from the list. You can add a check mark to adjust the microphone automatically. You know it works when the green volume meter moves when you speak into the microphone. Alternatively, move the microphone volume up or down by the slider. Finally, go back to your contact list and the Skype test call, try again. 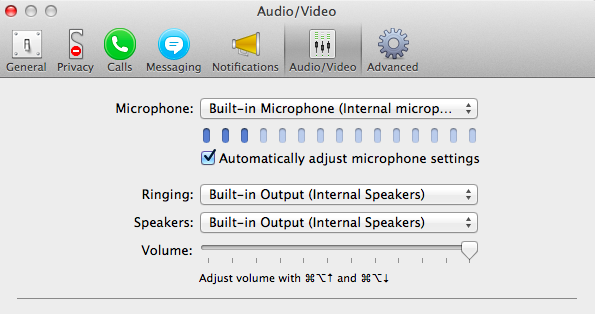 If you do not hear a sound after that, check whether you have selected the correct speakers to use with Skype. 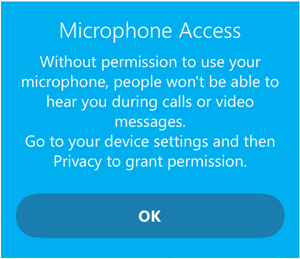 If you follow these simple things you will never get problem with microphone on your Skype app either on computer or phone. If you want more tips on Skype then you can follow our guide on how to : Create Skype account, Use Skype, Delete skype account, Share Screen, Skype Push to Talk, Conference call and Skype for Business info. This entry was posted in Skype Tips and Tricks and tagged Enable Microphone for Skype on iPhone, Fix Skype Microphone Not Working Android, Fix Skype Microphone Not Working Windows, Grant Access to Microphone for Skype on Windows, Grant Microphone Access for Skype on Ubuntu, How to Allow Skype to Access Microphone, How to give Skype Access to Microphone, How to Grant Access to Microphone for Skype on iPhone 5, How to Grant Access to Microphone for Skype on iPhone 6, How to Grant Access to Microphone for Skype on iPhone 7, How to Turn On Microphone on Skype for Mac, Skype Microphone Not Working iPhone 6 on January 20, 2016 by satyenhacks.